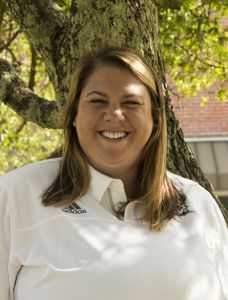 Jennie Belarmino has joined Pensacola State College’s athletic staff as the new head volleyball coach. She replaces Chris Laird, who was the volleyball coach for eight seasons. Before coming to Pensacola State, Belarmino was the head volleyball coach at Lake-Sumter State College in Leesburg for three years. While at Lake-Sumter, she recruited and trained a 2015 Mid-Florida Conference All-Conference player, an NJCAA Academic All-American, had eight players named to the MFC All-Academic Team and three players named FCSAA All-States. Belarmino’s teams also earned cumulative 3.0 or higher grade point averages each year she coached at Lake Sumter. Before coming to the state college, she was picked to lead the volleyball program at West Virginia University Institute of Technology, where in only two years she led the team to the most wins in a single season in school history (2011). Formerly Jennie Cook, Belarmino began her playing career at the University of Illinois where she played right side hitter for the 1994 and 1995 seasons. In 1996 and 1997, she played at Ball State University where she was named All Mid-American Conference both seasons. 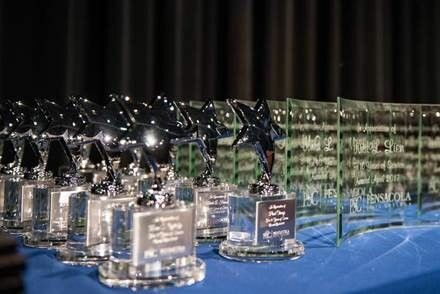 After graduating from Ball State University with her bachelor’s degree, Belarmino worked as a full-time fundraiser for several nonprofits including the American Heart Association and the Leukemia & Lymphoma Society. In those positions, she was recognized as a top fundraiser ─ raising more than $800,000. Belarmino’s college coaching career began as an assistant volleyball coach at Middle Tennessee State University. Also, she was an assistant volleyball coach at the University of South Alabama in Mobile for two years before joining West Virginia University Tech. Jennie lives in Pensacola with her husband, Brian, and their children; Alexis, Brady and Brooke.